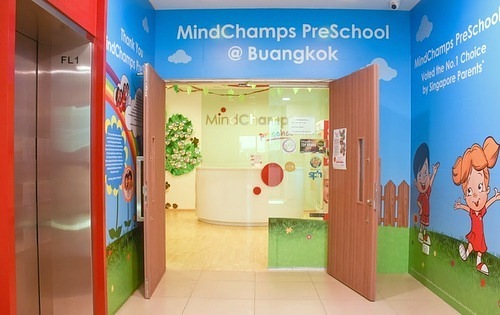 MindChamps PreSchool has a network of 39 locations throughout Singapore, including one preschool at Buangkok (15 Serangoon North Ave 5). As a preschool provider, MindChamps PreSchool is the market share leader in Singapore with a 39.5% of the premium range pre-schools. At MindChamps PreSchools, all aspects of your child (aged 18 months to 6 years) will be nurtured with the company’s 10 world proprietary academic and enrichment programs. The programs have been developed by world experts based on scientific research in the four domains of neuroscience, early childhood education, child psychology, and theatre. Of the available MindChamps PreSchool, the one at City Square Mall is the largest preschool in a shopping mall in Singapore, featuring 9,000 sq ft of learning space (classrooms and gym) and 5,000 sq ft of outdoor play area. The official Facebook page for all of MindChamps services, including their PreSchools, is located at www.facebook.com/MindChampsFamily. Following the Facebook page, you’ll learn more about the PreSchools and their operations, MindChamps events, and much more.